This entry was posted in Language and Literature and tagged Library of Congress, Thomas Jefferson. Bookmark the permalink. I think I need to return to that fabulous library! I had forgotten we have Jefferson to thank for its resuscitation. Thank goodness he didn’t live to see the day that Snooki’s book is entered into its stacks. Jefferson was a devoted bibliophile. It had taken him the better part of 50 years to accumulate the collection that he sold to Congress in January, 1815. He lived 11 more years, and at his death in 1826, his personal library had gone from zero to about a thousand books. Who knew? I went to the Library of Congress (a long time ago) and I didn’t come close to those #’s. I must have miscounted?! 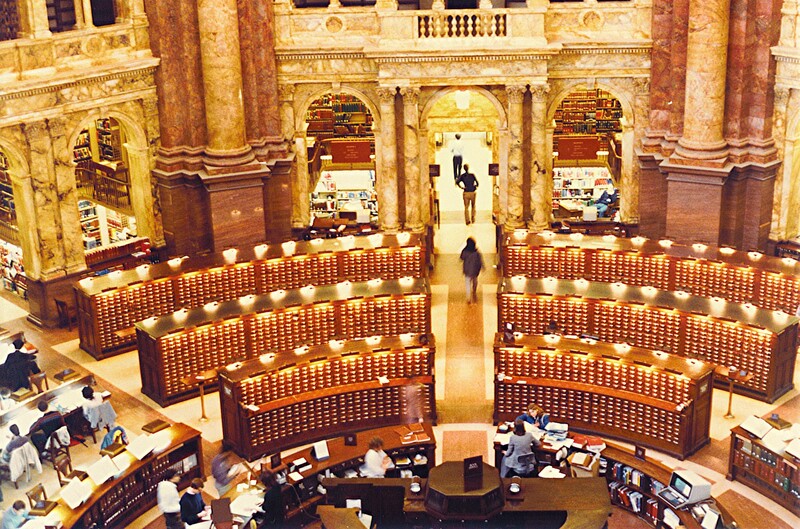 Since you’ve been there, you’d probably agree that even though the Library of Congress isn’t considered one of D.C.’s major tourist attractions, it’s an interesting place to visit. In addition to all those books, they now have on display a first-edition Barbie Doll! Now this article can be submitted. Thank you so much. I learned something new today and am very appreciative. It’s sort of scary to think that all of this stuff is being stored, too, but I guess that’s the eventual goal of a universal digital library. Thanks for checking in, Shirley. worked at lc 1972-1974, interesting times in DC. worked on developing first on-line catalog. What computer equipment were you using back in the early 1970s? Was storage on punch cards at that point, or those big tape reels? It’s hard for me to even imagine what it must have been like to take on that task! Thanks for your comment. real time , online systems, big iron (ibm 360’s) cry terminals, scattered in the back offices, large disk packs. We put on the MARC data, there are some reports of what we did. Ask about Ervin comm. with watergate hearings.